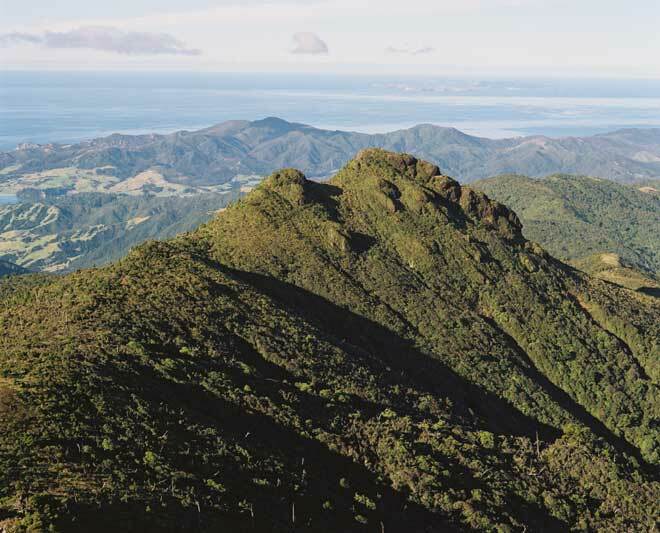 Mt Moehau, at the tip of the Coromandel Peninsula, is a sacred mountain of the Marutūahu peoples; many important chiefs, including Tamatekapua of Te Arawa, are buried on its summit. The full name of the mountain is Te Moengahau-o-Tamatekapua (the windy sleeping place of Tamatekapua). Well the Maaori Kuini Te Atairangikaahu (Piki)has been lifted by helicopter over Moehau Maunga. Originally that may be the case but initially it has been reinforced by the more recent visit from the Kingitanga. I will reserve my opinion. So how does the resting place of Tamatekapua of Te Arawa make Moehau a sacred mountain for Marutuahu of Tainui?